First comes the car or its trim level. If you have chosen a car, do take a look at its variants and the respective insurance premium cost. In most cases, the higher you go up in a car's trim list, the lower goes the difference in insurance premium cost. This is because insurers see the addition of safety features – such as airbags, immobiliser, central locking, etc. – in the higher trims as factors that reduce the chance of insurance claim. There are two major types of insurance that you can buy today for a new car – regular comprehensive and zero depreciation. In the case of regular comprehensive type, you have to pay a certain part of the cost of repairs in case your car meets with an accident. The zero depreciation type ensures that your car remains unaffected by depreciation. In practice, it means that the insurance provider will cover the entire cost of repairs carried out on your car. If you use your car occasionally, opting for regular comprehensive insurance type would be a great choice. For a car that is driven daily, a zero depreciation policy works much better. Opting for the right add-on covers will increase the scope of coverage of your insurance policy. Covers such as those for water ingress in the engine (hydrostatic lock), theft and accidents that lead to scrapping (return to invoice) ensure you are not caught off-guard by different situations. Do give these add-on covers a look and decide on the ones that best suit your requirements. 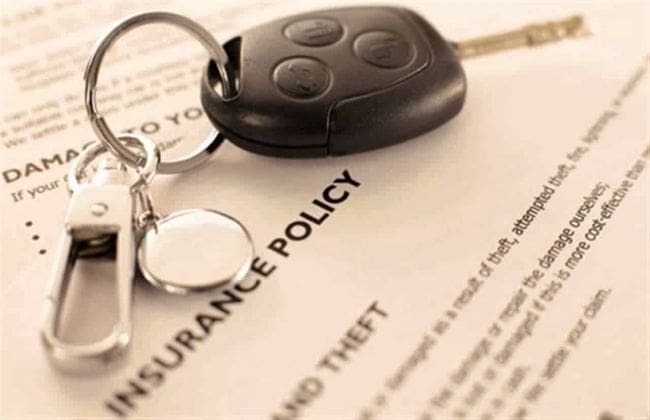 Insurance companies provide you a good deal on a policy if your car has features that make it difficult to steal, such as central locking, immobiliser, etc. The more difficult your car is to steal, the better the discount the insurer offers you. However, do ensure that the anti-theft equipment is ARAI-approved or you would not be eligible for this discount. You can avail yourself of a number of discounts on your car's insurance. There is discount for not claiming insurance for an entire year (no claim bonus), certain occupations, and opting for voluntary deductibles. These are just some of the cases in which you can claim discount on the insurance policy of your car. Do talk to the insurance agent to know more about the different types of discounts you can get. Sometimes, when you use all the tricks mentioned above, you may find another insurance policy better-priced than the one you are currently negotiating the cost of. So, before you buy a policy, do check what other insurance providers are offering, as also the background of the insurance providers to know which ones have a good track record of serving customers on time. In this regard, take advice from other car owners, since you will get unbiased feedback on insurance companies. Alternatively, you can log on to CarDekho Insurance. Here, you can choose between various insurance providers, compare policies, get the best quote and rest assured that your request gets processed in a timely fashion since you get a dedicated relationship manager. There is more on offer on CarDekho Insurance, which you can find out by clicking here. Do you have a tip to offer on how to buy the right car insurance package? If yes, please mention it in the comments below and they may even appear in this article.